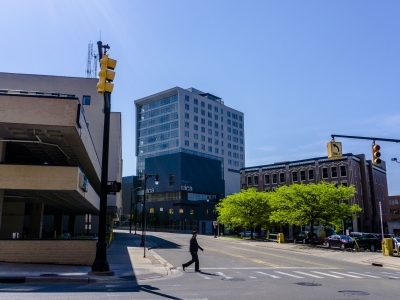 THE GALLERY IS AN EXCITING NEW DEVELOPMENT LOCATED IN THE CENTER OF DOWNTOWN GRAND RAPIDS! The Gallery is a gem within the Grand Rapids real estate market. It features 56 stylish apartments, on-site city parking, and the new home of the UICA.